Helping local women going through cancer treatment. 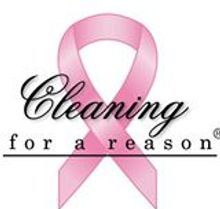 We have partnered with Cleaning for a Reason to offer free cleanings to women going through cancer treatment. "This community has supported us since 1990 and we want to thank everyone for their support by giving back to our wonderful local charities." Home Cleaning Service can help with all your cleaning needs. From residential cleaning and holiday home maintenance, to after construction cleaning and remodeling cleaning. We even do business cleaning! Home cleaning Service has been serving Walworth County since 1990. Our mission is to give you the best possible service and the lowest possible price. Let our professional cleaning staff do the work so that you can spend your time doing what is important to you. Use the Buy Now button in the side bar to pay your invoice on line. In a tough economy we know every penny matters thats why we offer some of the best everyday discounts! We also have monthly specials! Sign up for weekly cleaning and receive the 4th cleaning Free. 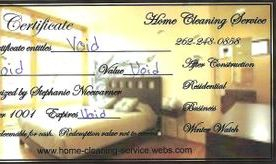 New clients get 10% off your first cleaning when you refer to this web page. These offers can not be combined with any other offers. 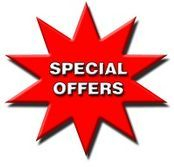 Please mention the web offer you would like when you call the office to set up your service. Office hours only refer to the time that phones will be answered, not cleaning hours. Monday-Friday 8 a.m. until 4 p.m.
We are very flexible to fit in to your schedule. Your satisfaction is our guarantee. If you're not satisfied, our cleaners will come back and clean whatever area didn't meet your expectations. Simply notify us within 24-hours. A professional cleaning isn't complete without your satisfaction. As with all relationships, miscommunication happens and sometimes we make mistakes, but we would never ask you to live with any mistake. If for any reason you aren't happy with our service, please contact our office within 24-hours of your initial cleaning. We will come back and clean the specific areas that did not meet your expectation. We have two Professional Cleaning Technician positions to fill. The hours are 8am – 4/4:30pm, Mon. – Fri. and occasional half day Saturdays. Our office is located at 1050 Carey Street, Lake Geneva (262) 248-0858. Give us a call if you would like to join our team! Company cars, paid vacation, cash advances, room for advancement, 40 hour per week. Gift Certificates can be purchased in the web store. "The girls did a great job, they do everything top to bottom. I was very satisfied with the job they did." "It just so happened that I went into labor with our first baby the morning that the team was due to arrive. My husband called from the hotpital and asked if the team would stil..."
UNBELIEVABLY happy with the work done! "I have been using Home Cleaning service for the past 3 years and it has been great. They are always prompt, pleasant and do a wonderful job. Every room is thoroughly cleaned. I ..."
For our latest updates please like us on Facebook!! We also post when we will be closed due to weather and holidays!